Ged is the most powerful sorcerer in all of Earthsea, but once he was once a young goatherd called Sparrowhawk. At age eleven, when the legendary sorcerer Ogion discovers him, Sparrowhawk is whisked off across the seas to the mysterious wizarding school on Roke Island. There, he learns the magic arts, makes friend and foe alike—and, in a magical duel gone awry, accidentally summons a malevolent shadow that scars his face and sets events in motion that will follow him throughout his life. 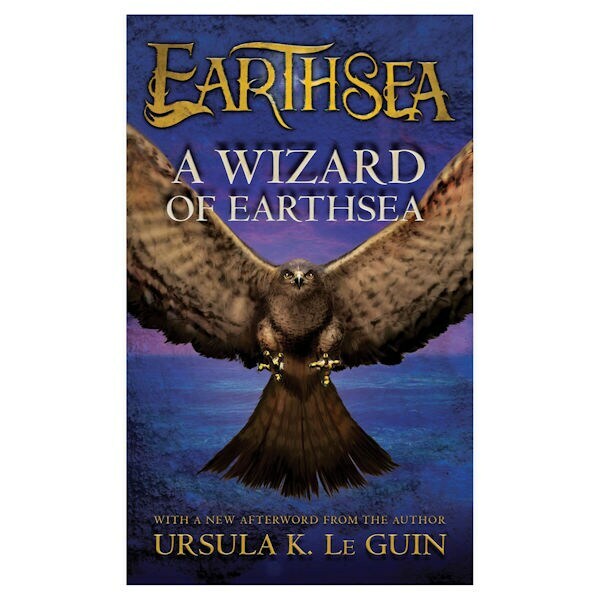 Fans of Harry Potter will love this classic, genre-defining tale by award-winning author Ursula K. Le Guin.